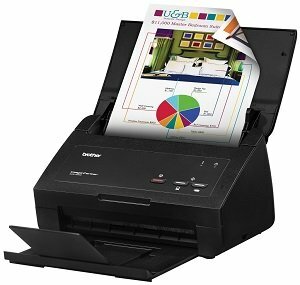 The ImageCenter ADS-2000 is a high speed desktop two-sided document color scanner with a up to 50 sheet capacity document feeder ideal for home or small offices. Highly versatile scanning to include business cards, ID cards, photos and receipts up to 8.5” x 14” (legal-size) paper and up to 34” in length. Scan to destinations include: email, file, image, OCR, USB memory flash drive1, Android phone and tablet2. The ImageCenter ADS-2000 also provides capabilities of multi-feed detection, background removal, blank page removal and deskew support. The included software makes the ADS-2000 a powerful scanning package. 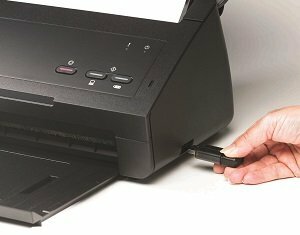 Supports multi-page document scanning via the up to 50-page auto document feed capacity (ADF). Up to 24ppm (one sided) or 24ppm (two sided)1. Multi-feed occurs when two more sheets in the paper feeder are fed simultaneously into the scanner. If you continue scanning documents without knowing about this error, you could skip some important data while scanning the document. The Multifeed Detection function this scanner provides can help prevent such errors. Blank page removal is especially useful when performing duplex scans so that you can omit any pages that have no content. 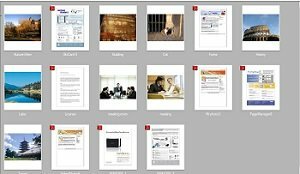 Save storage space and eliminate the need to edit scanned documents. Not only can the ImageCenter ADS-2000 scan-to a variety of destinations, including email, image, OCR and file, but also USB flash memory drive2, and Android phone3 or tablet3. The included software makes the ImageCenter ADS-2000 a powerful scanning package. *This device supports single sheet feeding. Please note that the numbers presented are for comparison purposes only and are intended to demonstrate what the device is capable of.